Comparable to Excedrin, our extra-strength pain reliever provides temporary relief from the pain and pressure of headaches, sinusitis and toothaches. Also relieves discomfort caused by minor arthritis and rheumatism pain, hangovers and aches associated with cold and flu. Active ingredients: Acetaminophen, 100 mg.; Aspirin, 162 mg.; Salicylamide, 152 mg.; Caffeine, 32.4 mg. 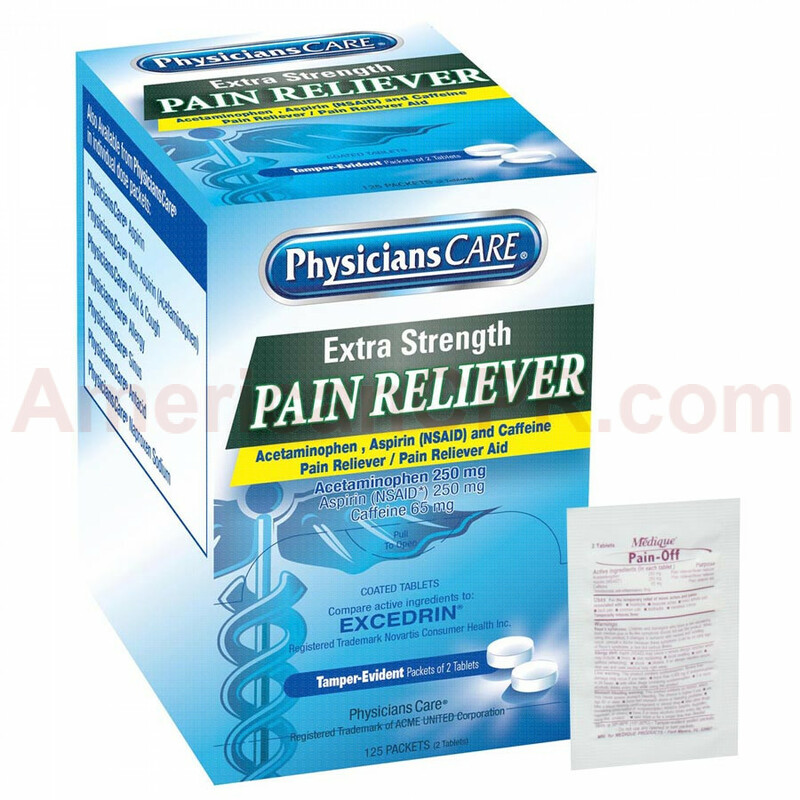 Note: The above is the Manufacturer description, however, we think it is helpful to advise that these are packaged as 125 two-packs, this is the industry standard description & packaging as the recommended dosage is 2 tablets, so they are packaged in convenient single dose packs (125 x 2 = 250 tablets). 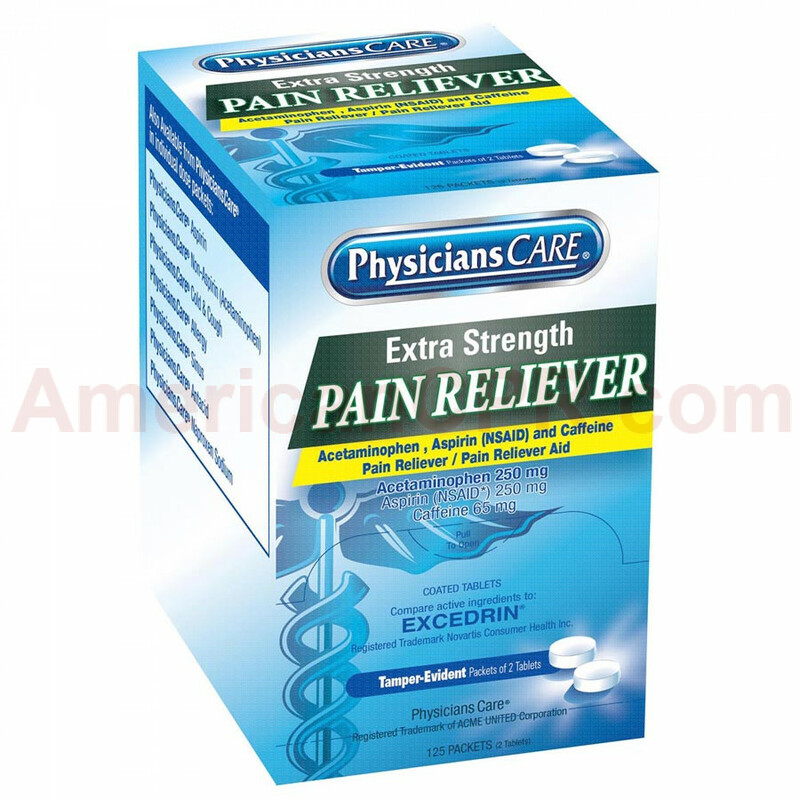 Extra-Strength Pain Reliever Tablets - 250 Per Box - PhysiciansCare.